“Stay positive.” It’s about as cliché as it gets, right? Well, if it’s not broken, don’t fix it. Truth is, in my experience people gravitate toward the positive and that’s not only true for media contacts I know, but also any successful business leader, athlete or community leader I’ve met. Think about your own life. How often do you say, “no” throughout your life? I bet it’s directly related to the level of success you have (or don’t have). One of my favorite movies is, “The Yes Man.” In it, the character attends a motivational seminar and takes on saying yes to all opportunities that comes his way in the future. It’s quite funny. Take a look, if you’ve not already seen it. Speaking of motivational speakers, I’m thrilled that Wasabi Publicity client and prosperity motivational speaker & author, Randy Gage is featured in this Investors Business Daily article I placed for him. Gage often speaks about the power of staying positive and teaches that steering clear of negative naysayers can increase your health, wealth and knowledge. All you pro-positive people reading this are saying, “Yes, that’s true, Michelle!” Alternatively, skeptics will be thinking, “Hmmm, but you know, the media and most people I know love a good drama. People victimize themselves and that’s opportunity, too.” I can see your point, skeptics. I’ve had my fair share of playing victim and thwarting my own success. However, standing at the top of my career, I will tell you this … at a party, everyone loves laughter. At night, bugs love light. 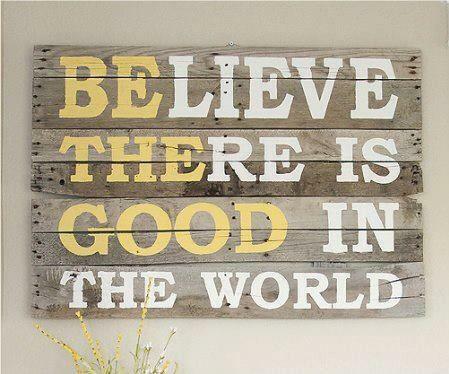 At the end of the day, people want to feel good, speak good and BElieve THEre is GOOD in the world; so BE THE GOOD and stay positive. Your wallet, your heart and her mind will thank you. Shoot, with a little laughter, you might even create the next Facebook or write the next bestselling book (like Randy Gage did when he wrote, “Risky is The New Safe.“). When you stay positive, you are open to solutions. You see things you couldn’t see before. Be a positive source to the media on PitchRate.com — help them report to their readers, viewers and listeners what’s possible in their industries. That will make you a top go-to media expert. If you’re stuck in drama or constantly see why things won’t work, that will be relayed to media in your interviews. Transform your drama. Find solutions. Track trends. Talk possibility. The media will love you for it and clients will swarm around you like bugs to a night-light. Happy 2013 everyone … and let me leave you with my favorite e.e. cummings quote on staying positive, “Yes is a world & in this world of yes live (skillfully curled) all worlds.” Let me know how you plan to say yes this year. You are currently browsing the Michelle Tennant Nicholson blog archives for January, 2013.